It has been a while since I have been moved by a children's book, but Good People Everywhere by Lynea Gillen definitely touched my heart. It is a beautifully illustrated story describing good people all around us, which, sometimes in this world, it can be easy to forget. The story begins with, "Today in neighborhoods all over the world, millions of people are doing very good things." Then page after page offers examples of the good people are doing; from doctors and midwives delivering babies, to dancers spreading joy, to a friend helping a classmate who skinned their knee. It wraps up with, "Today, millions and millions of people will do very good things. And so will you. I wonder what you will do?" The book reads easily, with a flowing quality that provides soothing reassurance for children. As a mother, this book touched my heart because it is a reminder to look for the good. It reminds us that good people are around, despite what we hear in the headlines daily. I love that it challenges readers to be one of the good people at the end. As a licensed counselor, the praises continue. I think this would be a perfect book for children who have experienced trauma, abuse or have lived through a disaster of any kind. It is reassuring and positively focused on the good. It also empowers children that they can be part of the good. There is no question as to why this book is an award winning book (Teachers' Choice Award, Moonbeam Children's Book Awards, Mom's Choice Awards). In addition, the book also includes some activities at the end (which can also be found online at www.ThreePebblePress.com) to reinforce the message of the story, plus encourage children to put into practice what they can do. This is a great resource for teachers, counselors and anyone else working with children. My daughters, ages 6 and 8, love this book. They agreed that it made them feel "good because it says nice things about people," and "reminds them how many good people there are." My girls also said they loved the beautiful pictures illustrated by Kristina Swarner. This is a book that I imagine I will keep forever and read over and over till we know all the words by heart. I can even picture me pulling it out when my girls are going through the tough middle school years and gently reminding them that there are good people everywhere. Disclosure: I received a copy of this book in order to facilitate this review. I was not compensated in any way. As always, this review contains my honest opinions. I love this concept. Too often the news and tv makes us think that everyone is bad. And while there are many bad things happening in our world, we do have a beautiful world full of amazing people! Thanks for sharing! I'm going to have to check this out! I loved the title of this book, which in itself gives a strong message. It is nice to remember that there are good people around the world not just what the media want us to see. I'm sure the illustrations enhance the theme even more. 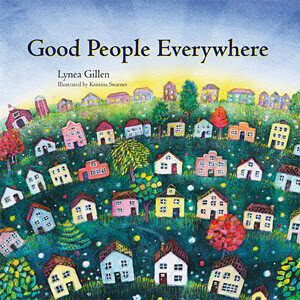 Good People Everywhere sounds like a great book for reading with children. I really like the idea that the book reinforces the good in the reader, too. That is sure one way of adding another good person to the mix. 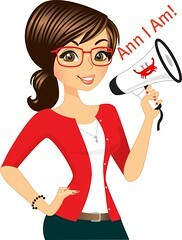 Great book review, Ann! And yes, I would imagine handing the book to your girls during their teen years might come in handy as a reminder too. This looks like an awesome book for children...I'm looking into getting this won! Yes. I like touchy, drama books. The ones that makes me feel...something. smiles.